A couple Saturdays ago (the one before the Super Bowl) I headed east to Taylor for my favorite monthly show and had a fun time as usual. This time I spent a bit less than usual and came home with fewer cards than I tend to, but still ended up with the usual mix of PC stuff and trade bait (including a quartet viewable on TMM tonight). $15 of the $30 I paid went towards dime, quarter, dollar, and $2 cards while the other half covered one bigger pickup. This isn't that big hitter--you'll have to wait until the end for that--but instead a rare trade bait item I picked up without anyone specific in mind. If you're a fan of the Twins, Glen Perkins, or manupatch autos, please feel free to claim this 2007 SP Authentic piece in the comments! 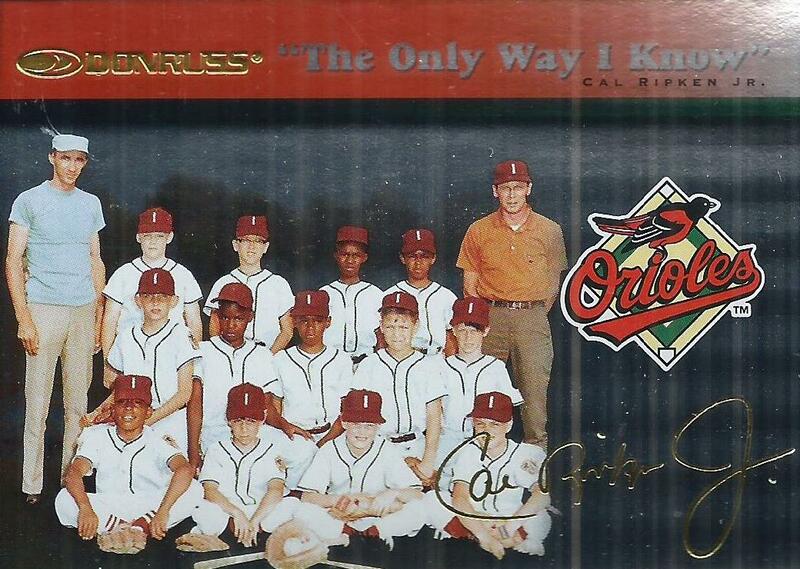 Ah, the golden age of choice that was the mid-90s and early 2000s! Three of my big four are seen here on a trio of brands from different years. Junior stars on a Diamond Pearls insert from possibly my favorite Stadium Club version, 2001. Gwynn may have had Pennant Fever like that 2000 Aurora insert, but he only hit paydirt twice, then ran into brick walls named the '84 Tigers and '98 Yanks. 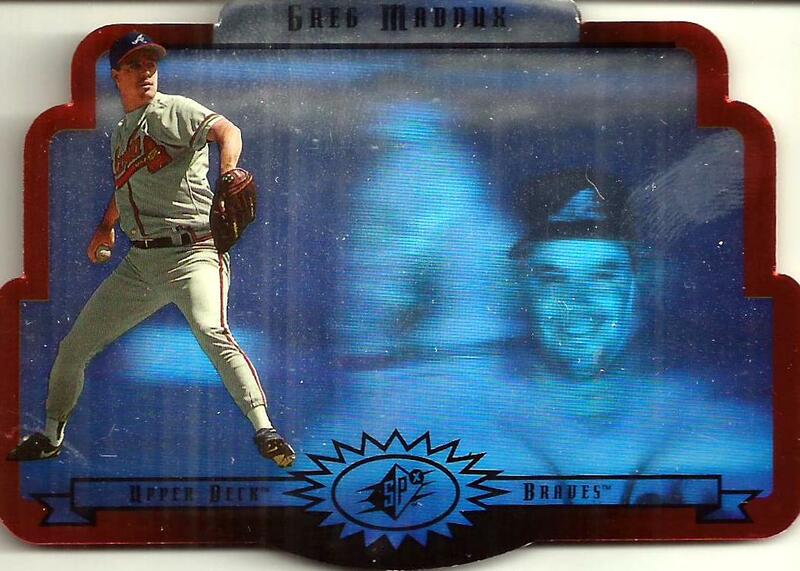 And finally Maddux was card #1 in one of Upper Deck's greatest debuts, '96 SPx. I had his Bound For Glory insert but not this base card somehow! The Iron Man was my only twofer this time but it was a productive one thanks to the card on the left. I was amazed to find card #4 in the '97 Donruss Ripken the Only Way I Know insert set I'm chasing, and for just a quarter! 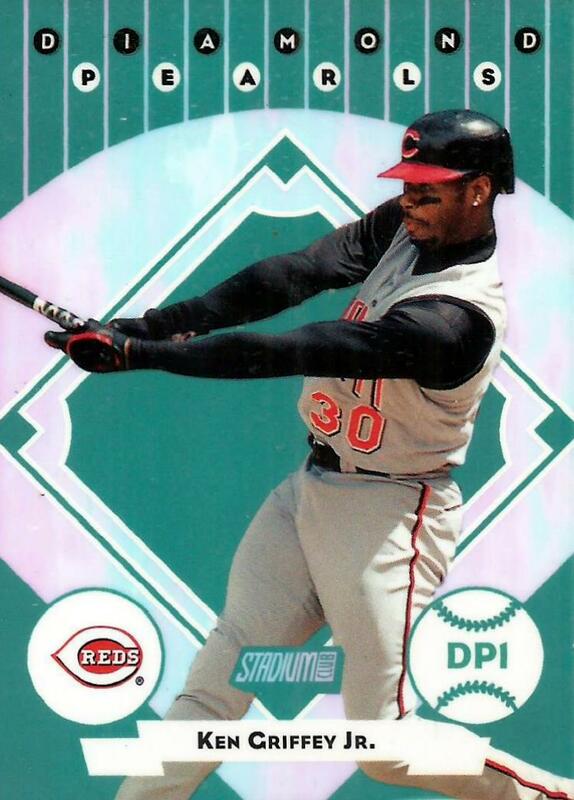 Each one is numbered /5000 and usually goes for a few bucks so I was glad to knock one off so cheap. 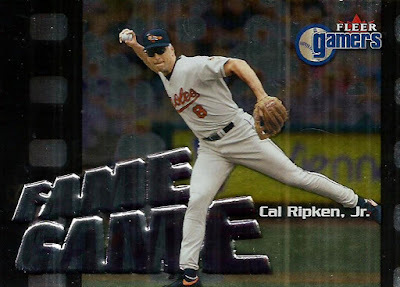 That's joined by a shiny subset card from one of Fleer's many, many 2000s products, 2000 Gamers. 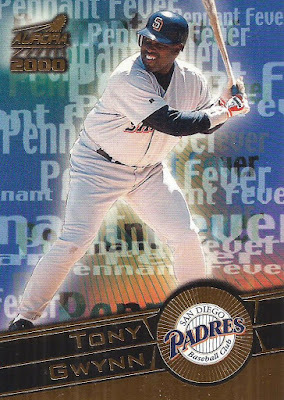 The design brings a film-like motif plus raised letters (the name of the subset), though my favorite part is the cool photo of Rip in the field. 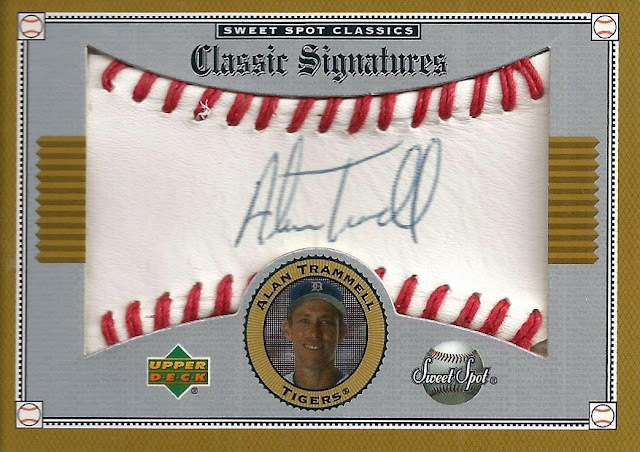 From all the way back in 2002 this is a beautiful Sweet Spot Classics Signatures auto of new HOFer Alan Trammell. I saw this in the seller's showcase and was immediately drawn to it even though I already have a similar Tram signature, because it took me back to the hype of when these first came out. 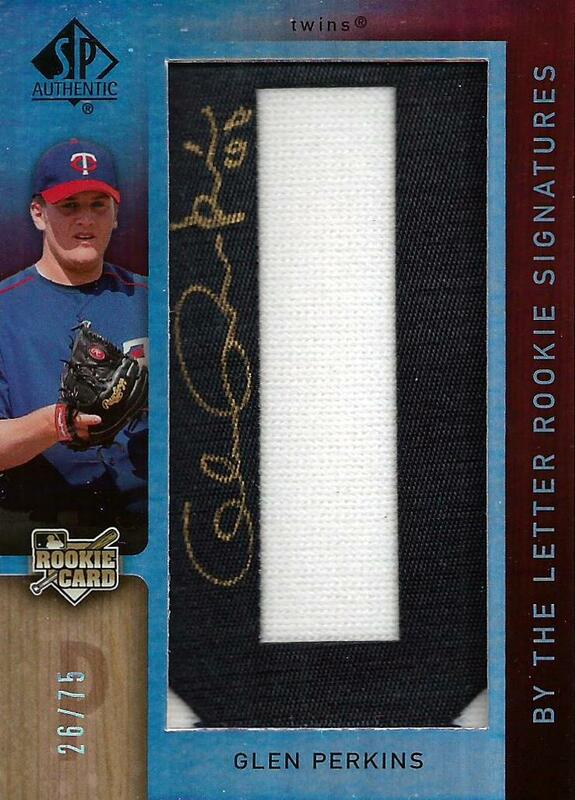 It was cool to see one in such great shape considering the many examples of faded autographs over the years. No such trouble here, though, and it's a perfect way to celebrate the iconic Tigers SS entering the Hall this summer. Until next month's show, stay tuned for more Sportlots stuff. Will I get them posted before March? We'll find out! Thanks! Knew you'd like them as usual. Also... great pick-ups. You don't see too many Trammel autos in the wild anymore. Love Sweet Spot Signatures... especially when the autographs show no signs of fading.